Which civic locations were special to Faribault residents? 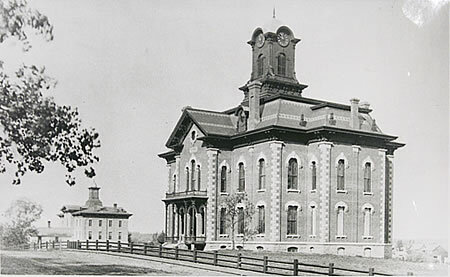 Brick, wood and stone went into the construction of the second Rice County courthouse in 1874. Designed by architect C.N. Daniels, the building replaced a one story brick building, and was destroyed by fire in 1932. 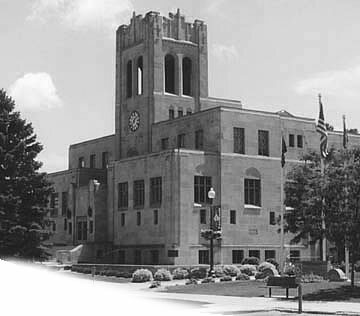 Rice County’s present courthouse was constructed on the same block in 1934 using a contemporary Moderne/Art Deco style. Faribault’s position as the county seat bolstered its economy and population. Money for the distinctive 1929 Moderne/Art Deco-style public library was donated by Anna Buckham. Wife of early settler Thomas Buckham, Anna chose to live mainly in the East with her family, relocating to Faribault after her husband’s death in 1928. Her nephew, Charles Buckham, served as the building’s architect. He designed the interior to feature murals and a stained glass window which reflected Thomas Buckham’s interest in Greek culture. The library site was originally the location of Winkley’s Livery Stable.